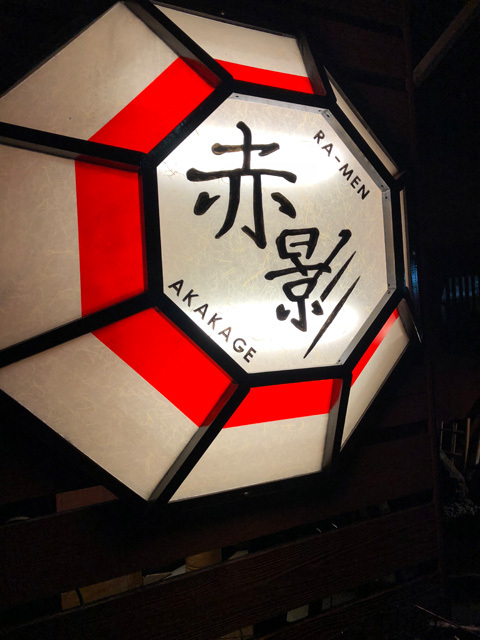 Menya Kagemusha changed his name to Ra-men Akakage. 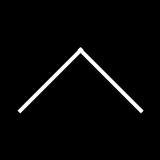 The staff went to this shop in West Muko. Four parking spaces are available. There were six counter seats in the shop and three or four tables in the back. There were quite a lot of guests. 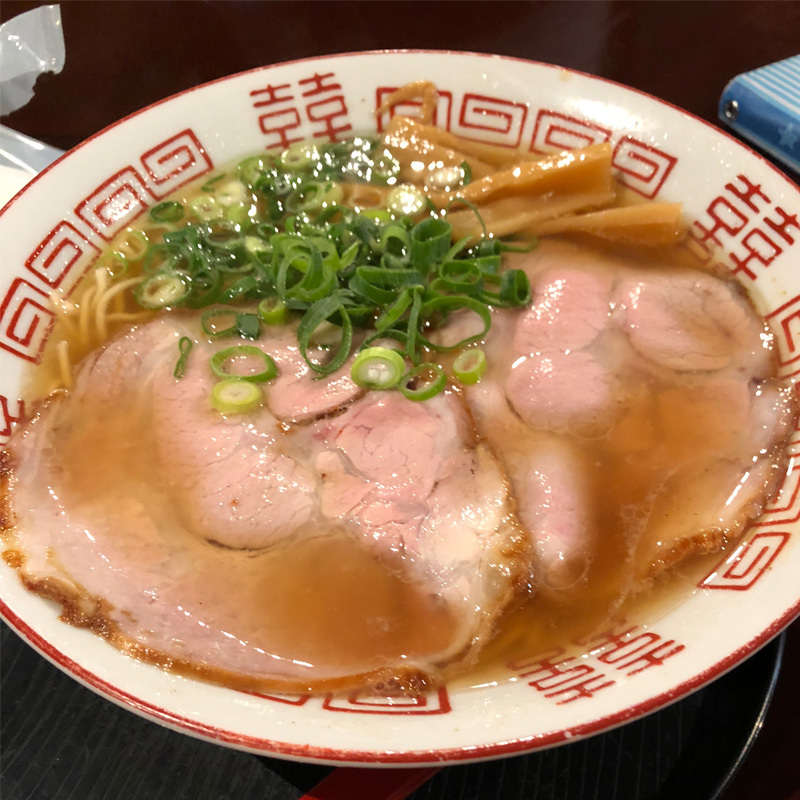 The staff visited with his son and ordered a delicious spicy Akakage ramen (￥760) that added chili to the rich vegetable soup. And his son ordered a soy sauce ramen. It is impossible for the child to eat spicy ramen. You can choose noodles from are noodles and thin noodles. Of course you can order an extra ball of noodles too. This time he chose a thin noodle. The amount of noodles is small, so it might be better on the premise that you order an extra ball of noodles. Then, you can choose from four levels of spicy soup. Here we chose the second most spicy. He likes spicy. On the other hand, his son ordered a soy sauce ramen. It is a light ramen based on seafood. There are also a variety of ramen such as pork bone ramen and yuzu ramen. Well, the noodles of the delicious spicy noodles are hard and thin straight noodles. Just because it is “delicious spicy”, the taste of the soup is so hot that the sweat comes out from the body. 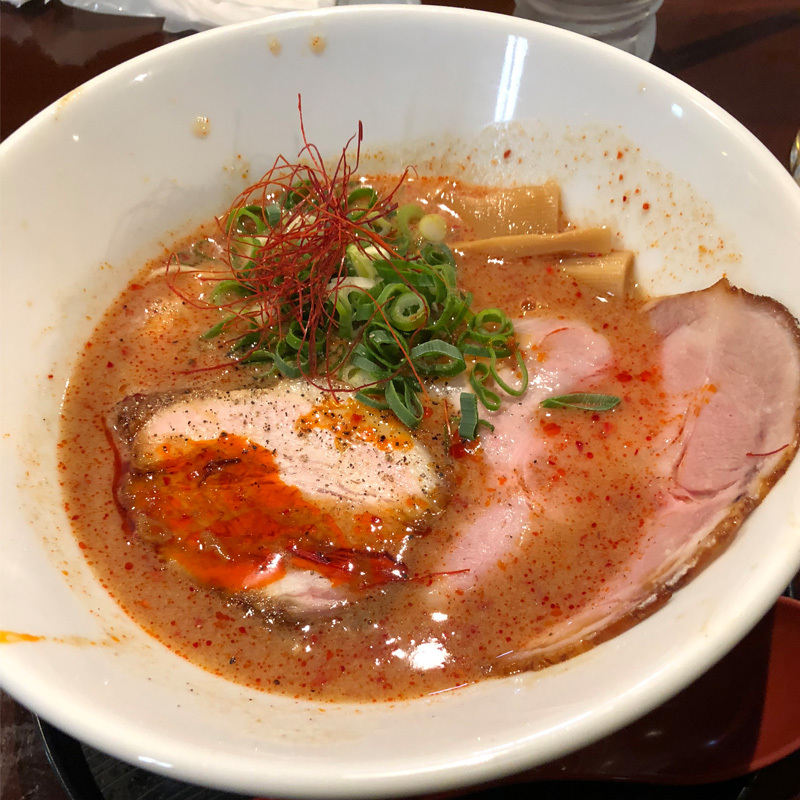 I didn’t think ramen was particularly delicious, but it seems to be quite popular in the southern part of Kyoto Prefecture, and when you want to eat spicy ramen, this is the standard shop. And, I heard that because the fried rice is not a flip rice, the fried rice that he ordered together might depends on your preference the favor.